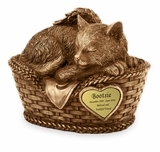 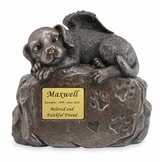 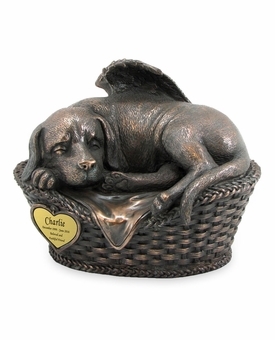 Our Angel Dog in Basket Cold Cast Bronze Finish Cremation Urn is a beautifully detailed sculpted urn made of cold-cast bronze. 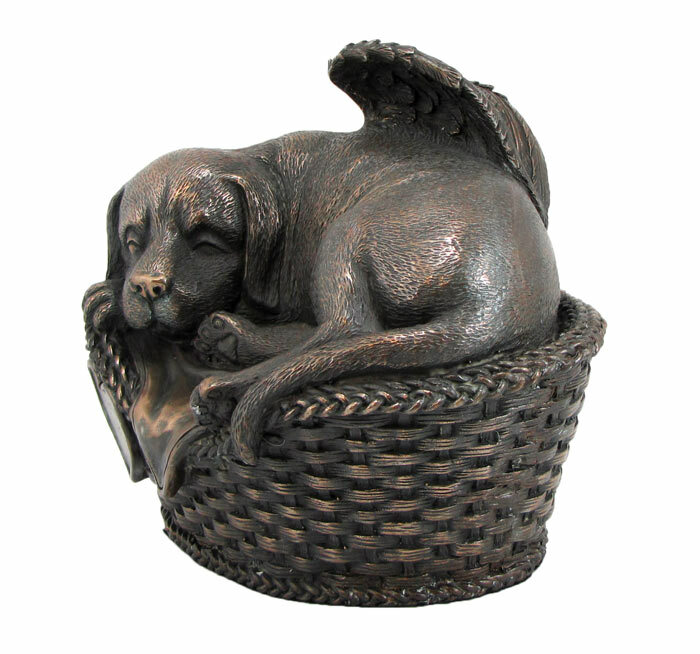 It depicts an adorable dog with angel wings nestled peacefully in a woven basket. 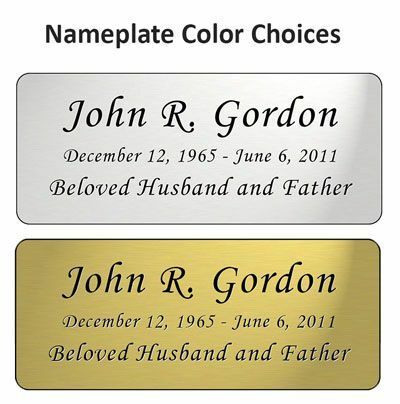 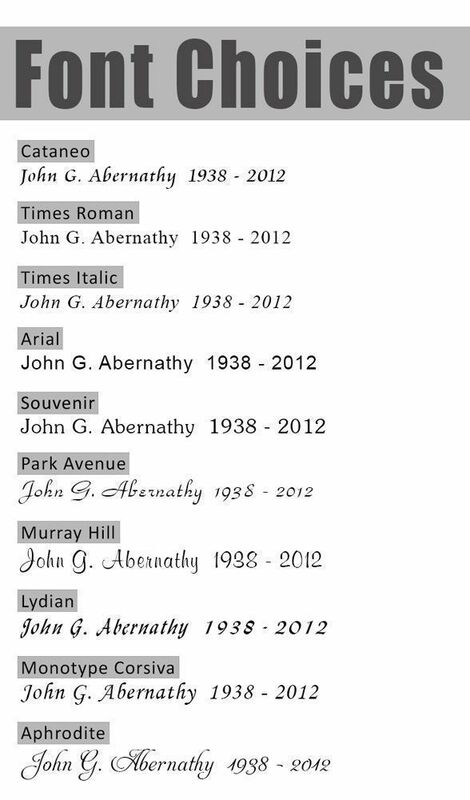 The inset heart nameplate can be personalized with text. 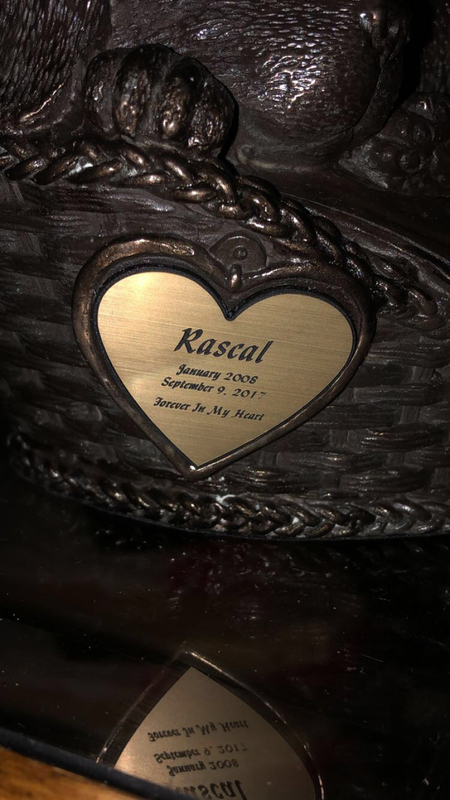 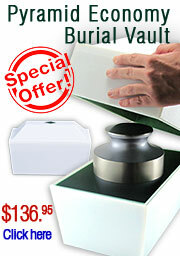 Ashes are loaded though a plate on the bottom secured with screws. 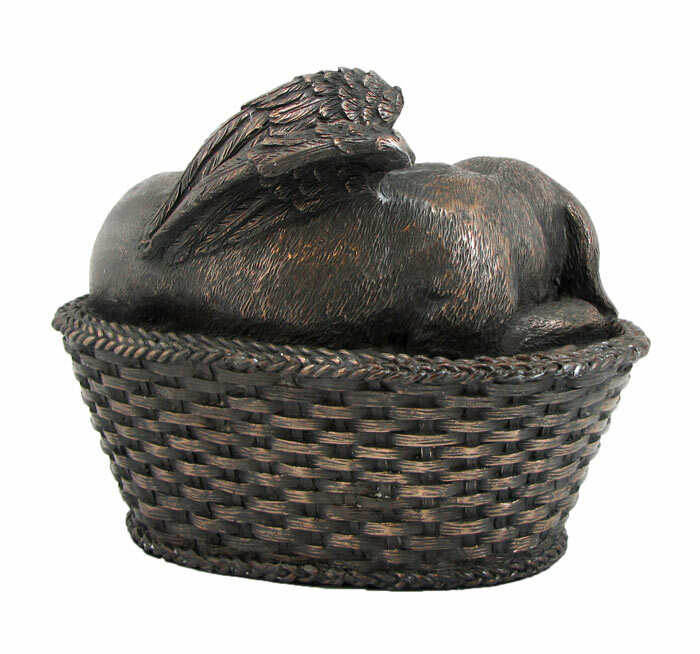 Cold-cast bronze involves blending bronze powder with epoxy designer resin to produce a material which is remarkably bronze-like. 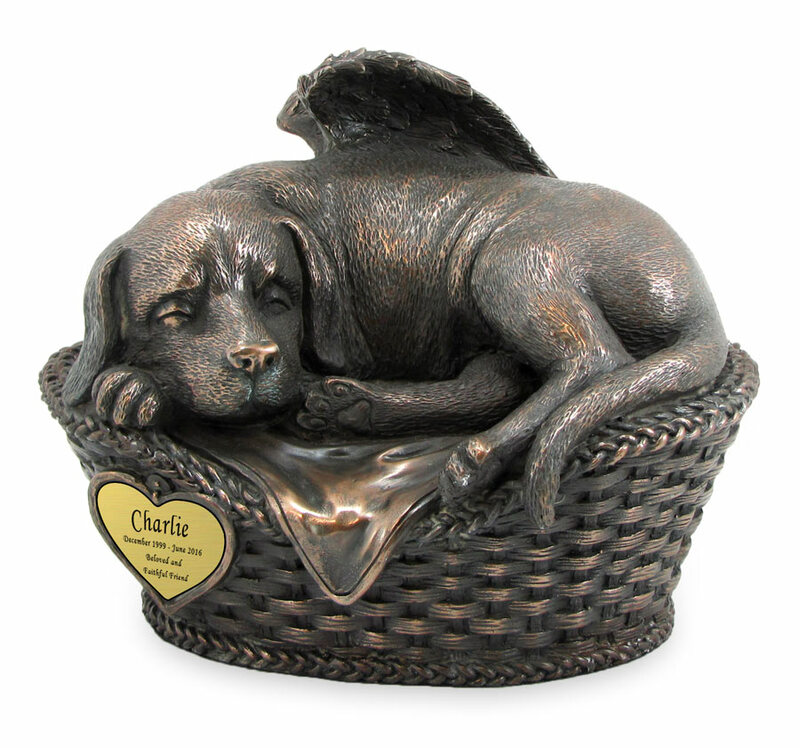 Very beautiful Urn. 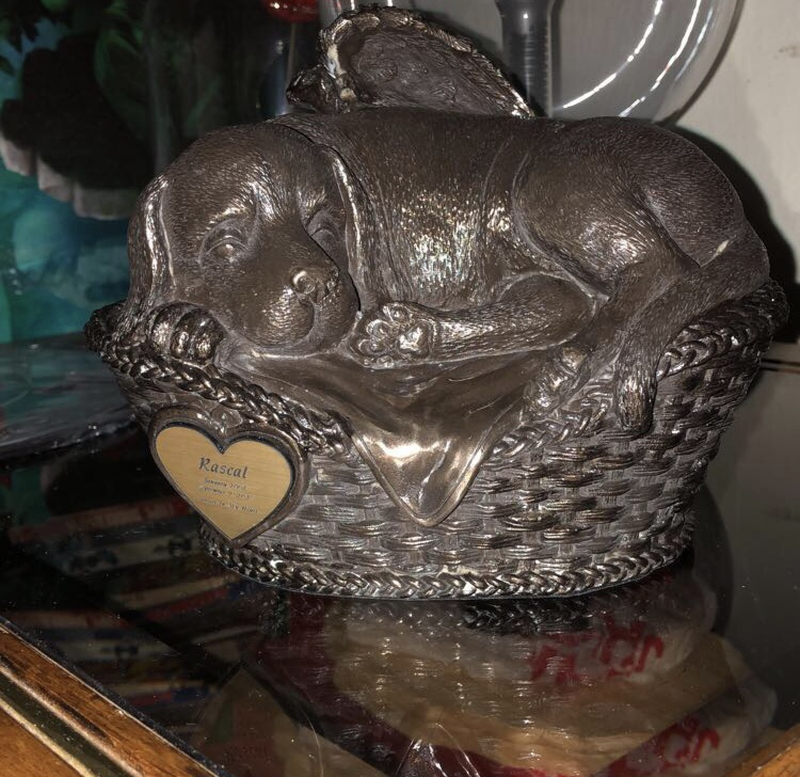 Was definitely bigger than I was expecting, but is perfect.